We’re very pleased to have been awarded joint second place in the first ever JISC TechDis Publisher Lookup Awards, recognising publishers who have excelled in changing and adapting their business processes to meet their customers’ accessibility needs. SAGE has always strived to provide our content in accessible formats to VIPs and since the inception of our ebook programme in 2007 this has become a central plank of how we make our content available. The Rights Department manage both the permission and ebook programme for the company and are, as such, well-placed to meet the needs of our visually impaired (VIP) customers. We have implemented procedures whereby any requests from disability libraries or VIPs are handled as a priority before any other piece of business and turnaround time for requests is at most 24 hours. Getting hold of content in an accessible format is key to the success of students with visual impairments and print disabilities, and we therefore make every effort to make every one of our titles available in PDF format. We currently have 2000 titles available (around 66% of our total in-print publishing list) and we scan requested titles from our backlist that are not currently available for no charge. In fact, more of our titles are available electronically to VIPs upon request than are available for sale electronically. There are no embargoes, restrictions or fees involved. SAGE works closely with a multitude of disability librarians around the UK and the rest of the world and are particularly pleased to have been recognised by the Lookup Awards. We shall be endeavouring to make even more of our titles available in the coming months and to make sure we uphold our high standards of service to our customers. 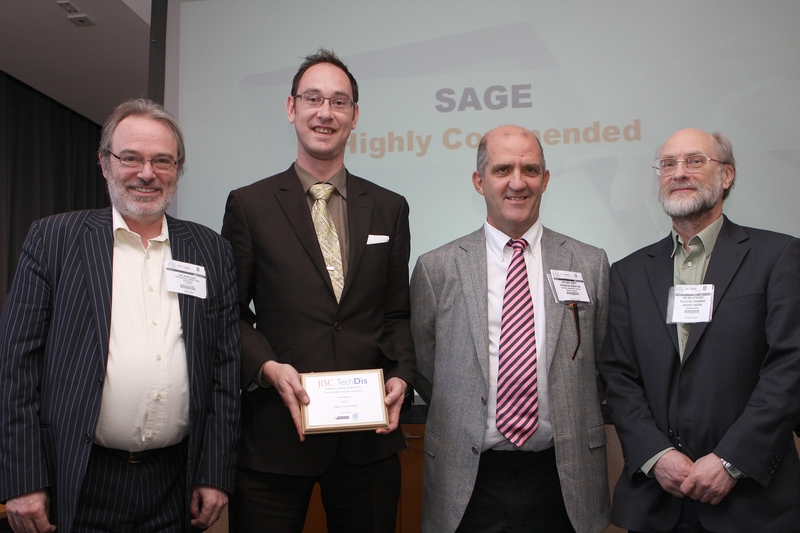 This entry was posted in SAGE Connection, SAGE news and tagged Accessibility, Awards, JISC, publishing, TechDis, Visual impairment. Bookmark the permalink.